This was the tenth generation of Corolla to be launched, and we here in Ireland were actually ahead of the pack – getting our Corollas before the rest of Europe and, indeed, most of the world. 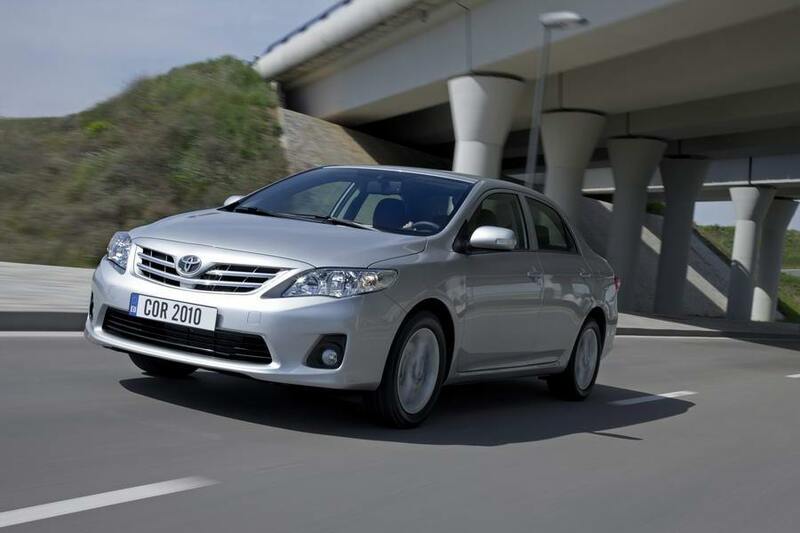 Of course, we are actually one of only three (assuming you regard Turkey as a European market) that got the Corolla. As far as Western Europe is concerned it was just us and Belgium. Why? Because we love our three-box saloons, while the rest of Europe prefers hatchbacks. For those of a train-spotting bent, this generation is officially known as the E140/E150 Corolla, and technically speaking we got the wide-body version, with a narrower version on sale in some Asian, North American and South American markets. Basically, the E140/150 Corolla is a first-generation Toyota Auris hatchback under the skin. The chassis and engines are all but identical, but there are some key differences. The fact that it shares with the Auris means it’s more mechanically sophisticated than the ‘narrow-body’ versions, so don’t go thinking you can import cheap parts from Japan for your Corolla – they’re quite different. It’s different to the Auris to, with a longer wheelbase, bigger boot and altered cabin, with more of a flat, cliff-faced dash than the curvier Auris cabin. Engines are basically the same though, initially kicking off with the 100hp 1.4-litre VVT-i petrol unit and the 90hp 1.4 D-4D diesel. Later on, a 1.33 VVTi engine was introduced (with an optional automatic transmission) and that’s a better buy than the old 1.4 – it’s sweeter revving and a bit more frugal. Actually, the 1.33 is the pick of the entire range as it’s only slightly thirstier than the ancient 1.4 D-4D diesel and much nicer to drive. There is no option on the body – they’re all four-door saloons, with the Auris taking up the five-door hatch slack, and there was never an estate offered. Most will be in pretty basic Terra spec (which is really, really basic), but you might be able to track down a ritzier Sol, which at least comes with niceties like air conditioning and cruise control. Mechanically, they’re basically unbreakable. You can never kill a Corolla. Just watch for a new niggles though – squeaky brakes were a perennial problem (but dealers apparently have a fix for it) and the clutch can be occasionally fragile, so avoid any that have done duty as a taxi. Oh, and park on a steep hill to check the handbrake – they can slip, sometimes. A late-model 2012 Corolla 1.33 VVTi should only set you back about €14k and is a lot of car, and a long-lasting car, for the money. No, it’s not going to set your heart aflame with desire every time you see it, but that’s not (and never has been) the point of a Corolla. This is about providing solid, sensible family transport that’s long on reliability, practically and comfort and short on unnecessary costs. Job done.